Cementing the strong relationship between one of the nation’s premier engineering solutions providers United Tractor & Equipment (Pvt) Ltd (UTE) and the Sri Lanka Golf Union (SLGU), a historic Memorandum of Understanding was signed recently with UTE receiving a landmark ‘Strategic Partner’ status. Taking the partnership between the two organisations to a new level, the signed two-year MOU is a culmination of developments that have taken place over the years with both organisations keen to promote the sport via a clearly defined pathway that offers opportunities for all and as part of a national tourism strategy to attract and link with golf tourism. The signed strategic partnership will entail both parties working towards building the game in the country and giving the opportunity, especially to the younger generation inroads to be part of this sport. “We are extremely proud to tie up with SLGU as they continue to engage in efforts to encourage the sport countrywide and also in their initiatives of promoting golf as part of a national tourism strategy. 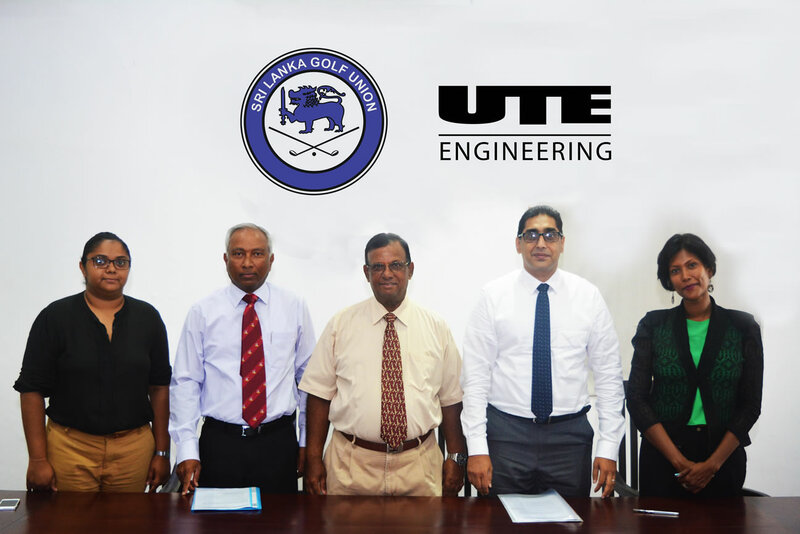 The MOU provides the two organisations a clear understanding of how working together they can achieve the common goal to grow golf further via a range of clearly defined activities,” said Prasan Fernando, Chairman, UTE. In particular, SLGU’s monthly UTE Engineering sponsored Pin Fernando Grand Prix tournament offers golfers who are not members of any clubs the ability to participate in this open competition. UTE’s continued support will enable talented players showcase their game. Additionally, with the defence services having built courses outside Colombo including Trincomalee, Anuruadhapura, Diyathalawa and Koggala, SLGU aims to take golf to schools located close to the golf courses. “Our company has always been about giving back to the community; through sponsorships and scholarships. SLGU is also about CSR and this partnership with UTE, motivates in giving back to the community,” Fernando added. “The association with UTE and golf has been there throughout and instead of requesting the company to sponsor individual events we understand the value UTE brings as a strategic partner for a two-year period,” he added.